The former CIA official who led the agency's clandestine service under the George W. Bush administration said he hopes Donald Trump reinstates now-illegal interrogation methods, including waterboarding and sleep deprivation, when questioning terrorist suspects. Jose Rodriguez, who backed the Republican nominee during the presidential race, said those "enhanced interrogation measures" were necessary to obtain information vital to U.S. national security, the Daily Beast reported on Monday. "We have to be able to capture terrorists. We have to be able to interrogate them. We don’t do that anymore," Rodriguez said. 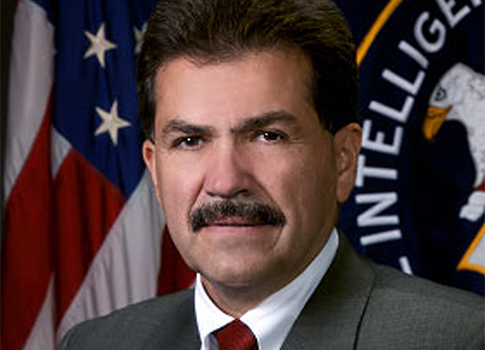 Rodriguez was a key architect of George W. Bush's interrogation program following the Sept. 11, 2001 terrorist attacks. He wants the Trump administration to drop current cases against CIA officials who helped carry out the controversial measures and said the president-elect must craft new techniques. "Enhanced interrogation techniques are well known to the enemy and we would have to come up with something else," he said. Congress barred the Bush-era interrogation methods in 2005. The Senate last year passed a torture ban that directed government employees to only use the interrogation measures listed in the U.S. Army Field Manual, enshrining a law an executive order President Obama issued in 2009. Trump has repeatedly said he would "broaden" the law to compete with brutal tactics used by militant groups like the Islamic State. "These savages are chopping off heads, drowning people. This is medieval times and then we can't do waterboarding?" Trump said earlier this month. Rodriguez said he has no interest in returning to Washington despite speculation that Trump is considering him to lead the CIA. This entry was posted in National Security and tagged Donald Trump, ISIS, Islamic State, José Rodriguez, September 11, Terrorism. Bookmark the permalink.